You glance at the clock and sigh. 2:30am. Why does this keep happening night after night? Surely there is something I can do. I’ve tried everything. You slowly rise from your bed, lift your crying baby and gently rock her, while whispering soothing words to calm her down. Surely she doesn’t need feeding. I only gave her one an hour ago. She’s still crying. How is this possible? Please make it stop! Of all the issues facing new parents, baby sleep is one of the most challenging. Some babies sleep through quite easily, from an early age, whereas others take a great deal longer. I’m sure we’ve all met people who proudly boast about their little one who slept through from about 3-4 weeks…. Although many baby sleep issues are temporary and only last a day or two, some can go on for much longer. This can cause problems between you and your partner and start to affect your day to day lives. However, while every child is different, if a baby is getting enough milk and sleeps in the right environment under the right conditions, she can often sleep through from a young age. This article contains a few suggestions to help your baby sleep. You should try to reinforce this as early as you can as it can have a huge impact on how your baby sleeps at night. 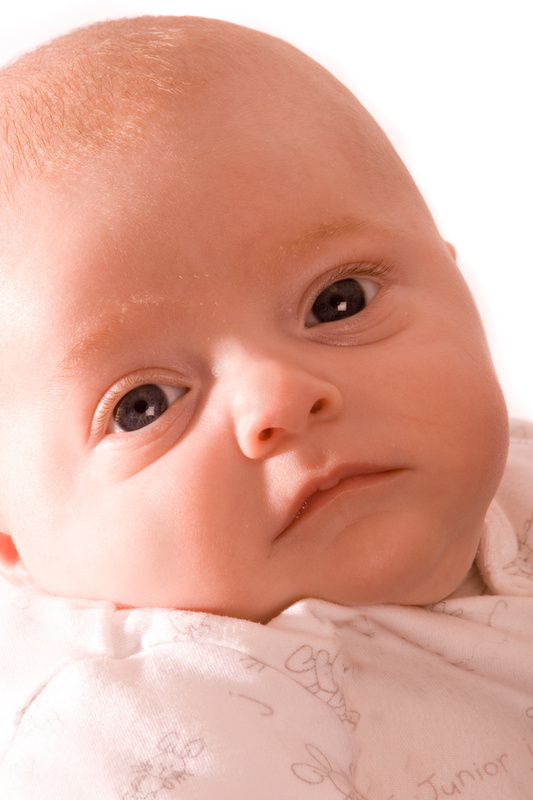 Babies tend to view certain experiences as both night and daytime activities, such as feeding. However, you can show them the difference, which can dramatically improve a newborn’s sleeping pattern. Keep your baby’s room quiet, and as dark as possible at night, using the smallest amount of light for night-time feeds. Night-lights are great, but avoid turning on the main bedroom light, unless you have a dimmer switch. Also, make sure the room is clearly lighter during the day. Avoid disturbing, and over-checking your baby unless she is crying. Try to ignore sleep noises and gurgling sounds. Make sure you remove items from your baby’s room at bed time, which you may need later in the evening. Only change her diaper at night if it is really necessary. Don’t interact with your baby at night. As well as the sleeping environment, this can really help your baby understand the difference between day and night. When feeding at night, don’t talk to your baby and try to remain silent. Just make sure you are chatty, friendly and show your baby plenty of love during the day! Many parents struggle with this. The problem with so called ‘sleeping rituals’ is that your baby can become so used to them that it turns into a habit. She is then unable to sleep without them and forms a sleep association. As adults we all have some form of sleep association before going to sleep. This could be reading a book, watching TV or using two pillows. Wouldn’t you find it trickier to fall asleep if you only had one of your two pillows? What about if you woke up in the middle of the night and one of your pillows was gone? Could you go back to sleep without looking for it? Let’s see how sleep associations affect your baby. They might be restless and upset if their sleeping ritual is delayed or doesn’t happen. And if they wake up during the night and the music has stopped, or their pacifier is gone, how will they react? Some babies go back to sleep themselves, but for others the desire to be rocked to sleep, or to hear music, is so strong that they will cry out for your attention! Therefore, your baby needs YOU to recreate the conditions for her to go to sleep to. Despite all this, sleep associations aren’t necessarily a bad thing. If you play music during a bedtime routine and your baby sleeps the whole night, that’s fine. It’s only when you can’t keep up with her demand to turn the music back on when she can’t go back to sleep, that it becomes a problem. 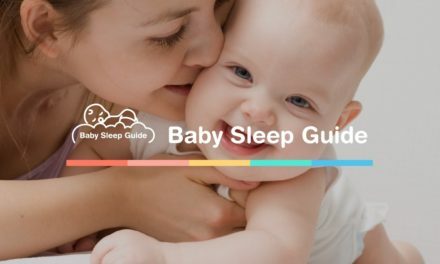 So what can you do to help your baby break a sleep association? To break sleep associations, your baby has to learn how to self-soothe. Although you can’t teach this process to an infant, once your baby reaches 3 months, try implementing some of these key elements..
– Put your baby down to sleep when she is awake, and NOT when she is asleep. Start doing this during daytime naps first before doing it at night. – Tickle her foot gently to keep her awake when feeding. By keeping her awake during her last feed before bedtime, and placing her into her crib in a drowsy state, but not asleep, it encourages her to fall sleep by herself. Other factors, such as a regular bedtime and routine can also help set your baby’s internal clock so they naturally feel sleepy at a certain time in the evening. reaches 3-4 months, most can learn to fall asleep themselves. Some achieve this earlier, but unfortunately some much later! If you are formula feeding, your baby can use a pacifier straight away, but if breastfeeding, wait until she is at least 3-4 weeks old. Although some parents are against them, mainly because of the risk to their baby’s teeth, this only really becomes an issue if they are used after the age of two. Some babies love pacifiers, while others just don’t take to them at all. If you decide to use one, persevere with it at first and see how it goes. However, one of thing to monitor in using a pacifier is sleep association. 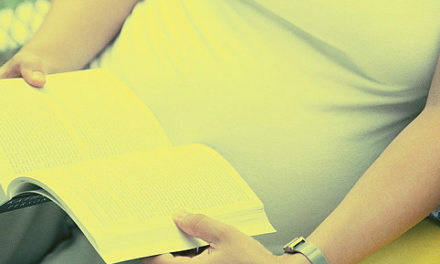 You don’t want your baby to become too dependent on it as it can make things worse. Watch things closely and if you find it starts to interrupt her sleep at night, it’s time to start weaning her off it. A loving mother and her milk are often what babies crave the most when they wake up. Take a soft toy, like a small stuffed animal and keep it near your body for a couple of nights when you are sleeping. Then place it in near your baby every time she goes to sleep. In some situations it is worth trying but watch closely for sleep association. If she wakes up during the night and her toy is not by her side, she may start the waterworks! Try some (or all) of these suggestions and see if they make a difference. You may find some have very quick results, while others take a while longer. 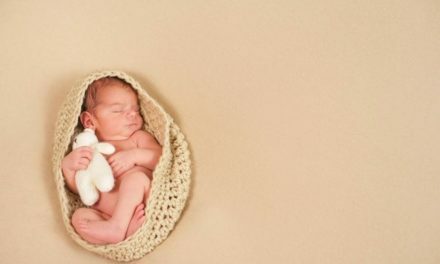 Of course there are many other baby sleep tips which can help your situation.